Stephen: Hi Laura, thank you for sharing your time with us today. 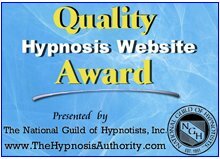 Please take a moment to introduce yourself to our readers and tell them all about your interesting website, http://www.hypnosisdoc.com. LP I have 2 sites for hypnosis at this time. One is mostly for the public, http://www.hypnosisdoc.com. and the other www.HypnosisRegistry.com is mostly for training therapists in hypnosis. HypnosisRegistry is more updated and with video testimonials. Stephen: Thank you Laura. Now tell us if you will, how long have you been a hypnotist or hypnotherapist? LP I took my first Hypnosis certification training 17 years ago in 1994 in NY where I lived and I haven’t stopped learning since. Today I am a licensed professional counsellor, a licensed marriage & family therapist, and above all I am a hypnotherapist. Stephen: Can you tell us how you were first drawn to a career in hypnosis? LP One day I saw a newspaper ad to learn hypnosis and something about it called to me and I registered for the training. It was amazing. And from that point on I was hooked, I took as many classes from as many different people and organizations as I could find. I wanted to know everything. And I still do. I’m one of those people who always want to learn more. Stephen: What do you enjoy about, or benefits do you personally received, from being a hypnotist? LP There is nothing more satisfying than being able to help a person reach a goal or break a habit that they did not think they could accomplish- especially if they have struggled with it for a long time and nothing has worked. I think of hypnosis as a puzzle. I have to figure out how to help a person get what they want, knowing that if they need me to help them, then they have an internal conflict. It’s my job to ask the right questions and figure out the right words and the right message that will change their perceptions. It’s challenging and very satisfying. Stephen: Have you experienced any other personal benefits from using hypnosis for yourself that you would care to share with our readers? LP Hypnotherapy and counselling are my second career. At the time I began studying hypnosis, I owned a jewelry manufacturing business. Jewelry design was my dream and my passion. Because gold and diamonds have great monetary value, working in that field can be very dangerous. I have had the experience of gunpoint robberies. And that is a trauma. A trauma is such an emotional incident that it is difficult to let the thoughts and feelings go. In traditional talk therapy, you would retell the story, but you and I know that hypnosis involves imagining something in your mind in detail, and through repetition strengthening it. And without realizing it, we relive and strengthen the trauma when we can’t let it go and that is not helpful. With hypnosis, I was able to calm the feelings and let go of the lingering thoughts and it was a soothing and respectful experience. Hypnosis is what helped me emotionally overcome the trauma of a gunpoint robbery. Hypnosis helped me stop a 2 pack a day smoking habit and hypnosis helped me change the lives of people who had struggles of their own. Stephen: I know from your web site that you felt having your subconscious "on side" was important in your earlier business experience prior to coming to hypnosis as a career. Can you tell us a little more about this please? LP The subconscious mind leads us and guides us. We tap into it without even realizing what we are doing. When I was in college I majored in fine art. I didn’t know what I was going to do with that major, but I knew that if I was going to spend most of my life working, I had to do work that I loved. One night my sister and I went out and happened upon a man who was a jeweller. During our conversation, he told us about 2 sisters who went to school at the fashion Institute of Technology and studied jewelry making and opened up a jewelry store. I immediately looked into that and knew that was what I wanted to do. I took classes on the weekend and after I graduated from college and I wanted to pursue a career as a jewelry designer and wanted to have my own firm. But I had no connections in the industry-No family there. All I had was a dream, my passion and determination. My subconscious mind worked behind the scenes. It lead me into the business, and to finding the right business partner and through the trauma of robbery, and after 20+ years in the industry, it led me to the incident which helped me transition out of the business when the time was right. There were so many ways in which my subconscious mind guided me. When we strongly have a passion for something we live and breathe it. When we have a fear we live and breathe it too. Stephen: It was with great interest that I noted your years of experience at the ER of Wellstar Hospital system and the exposure it gave you to working with people who had mood disorders. Can you tell us something of how hypnosis can be helpful for people who are experiencing depression, anxiety, bi-polar, anxiety and the like. LP I’m very fortunate to have the experience of being in the hospital system for over 6 years. It gave me great exposure to the medical model, to organizational thinking, and to severe mental illness and substance abuse- things that hypnotherapists don’t often see, but things that allowed me a broader perspective and an understanding of value and the interrelationship between different aspects of treatment. I see the role medication plays, the various influence of health care providers and the attitude of people in general to mental health and to alternatives. In the emergency department of the hospital system, most of the people who are seen for mental health reasons are often psychotic- or suicidal or drunk or in withdrawal. Usually they are in a crisis situation. When a person is drunk, hypnosis is not useful, but it is helpful to help them stop drinking. In the midst of a psychotic episode, the most useful tool is medication. Hypnosis is helpful for anxiety and panic attacks even more than counselling is because it works with the feelings more quickly. As for depression and suicidality, my personal experience and research has shown that hypnosis is beneficial. 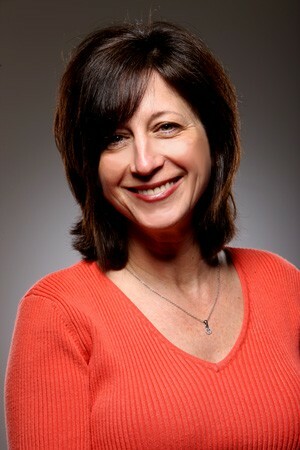 Stephen: What issues do your clients typically come to you for help with Laura in your daily practice? Do you specialize in helping people with certain issues? LP The usual things people think about hypnosis are smoking, weight, stress. Because I have been affiliated with the hospital system and the sleep disorders center for several years, the doctors send patients struggling with sleep disorders such as insomnia, anxiety, nightmares, alcohol abuse and trauma. I also get referrals from oncologists (cancer specialists) whose patients are diagnosed with cancer and need to stop smoking or need surgery and are anxious. And I work with alcohol abuse. I see people with relationship issues such as jealousy, anger, and letting go of the past. I see people in the business sector who need of motivation or follow through. Stephen: Laura, I notice that you have some interesting testimonials on your site. Is there a particular success story that you could describe to our readers. LP Hypnotherapists know that people learn differently and some people have delayed responses and others have more immediate responses. And often the people with delayed responses think “nothing happened”. My goal is to help people. So if someone comes to see me and feels disappointed and says nothing happened, even though I am sure something did, it still feels bad to think that a person invested their time and money and feels like they didn’t get what they needed. One particular day a person came for an initial session and after her visit she voiced her concern that nothing happened and she left upset. Needless to say, I was upset as well. 2 weeks later a woman called and requested an appointment. She identified herself s the mother of that client, and she stated I had helped her daughter so much that she wanted to come in herself. That is a happy ending. Stephen: Do you find any particular phase of your hypnosis or hypnotherapy work to be of special interest to you? If so, why?) e.g. one on one sessions, training hypnotists, writing scripts, producing recordings etc. LP I love all of it. I prefer the individual sessions because I have an opportunity to get to know that person and make the greatest impact on them. I love educating people and have just returned from a workshop where I educated fellow therapists on hypnosis and addictions. I plan to spend more time developing my certification training programs for therapists and self hypnosis training for those with interest. I plan to create a series of recordings as well. 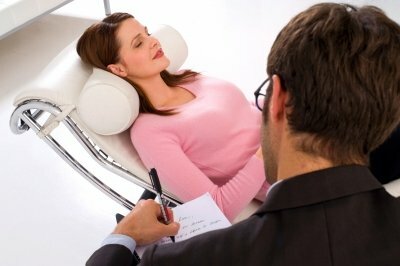 Stephen: What is the most frequent misunderstanding about hypnosis that you encounter with clients or the public Laura? LP Most people do not know there is so much scientific research that substantiates that the state of hypnosis as a measurable state. I’m still fighting against the public misunderstanding that hypnosis is like card reading or voodoo. But once a person speaks with me and meets me, they see that I am professional and those concerns fade. Stephen: As we both know, Hypnosis as a healing and helping modality has existed for hundreds of years now. However, it is more widely known and more accepted in some areas more than others. How would you rate the public acceptance of hypnosis/hypnotherapy in the Atlanta region? LP I don’t know how it is in Canada, but in Ga, where I live now, hypnosis is still seen in the same way that tarot cards are seen, and although I was working with some forward thinking physicians, many of the medical and mental health industry doesn’t understand or take it seriously. Like you, I have found hypnosis so effective, that I went back to school for a graduate degree in my 40’s so that I could get a license in mental health and use hypnosis and give credibility to my work with hypnosis. And I have. Stephen: Do you have a favorite book Laura on hypnosis that you would recommend to others? LP I can’t say I have one favourite. Many books for many things. Stephen: Laura, based on your experience, what do you see as the future of hypnotism in the US? LP Hopefully it will continue to move into the mainstream. Stephen: Yes, and with work like yours and others within the medical system I think we can be hopeful about that future. Thank you Laura for both your time and a very interesting and encouraging interview. Can you tell our readers who are interested in learning more about your hypnosis work, which is the best way to get in touch with you? LP Call me at 770-998-3881 or email me at Hypnosisdoc@bellsouth.net or Laura@hypnosisregistry.com .